The voice carries healing energy, or intent, and when we sing or hum with love, we can bring ourselves into a state of ‘harmony’ resulting in health. Through sound healing it may be possible to bring the diseased organ into harmony with the rest of the body. 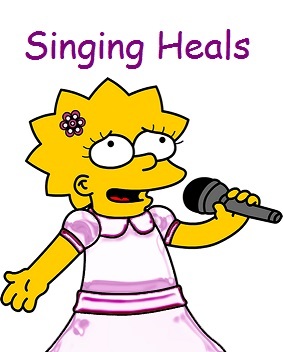 A pilot study published in the British Journal of Nursing found that singing therapy could greatly reduce the anxiety and depression patients can experience following a major surgery. The effect was strong enough that the authors suggested doctors prescribe therapy before trying antidepressants. Tone: While lying down, sing a long, sustained note on a vowel sound. Take a breath and continue, allowing the pitch to change as it wants. Keep it up for about ten minutes. “This is like meditation,” Austin says. Humming may be one of the simplest, most natural things a person can do, yet the benefits are surprisingly far reaching. By humming one of your favorite tunes or the sound “Om”, will relax you mentally and physically. It can bring down blood pressure, reduce the risk of a heart attack or stroke, help with sleep difficulties, and sinusitis. 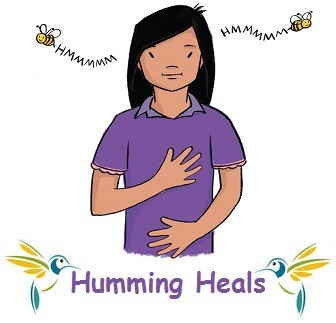 Humming combined with breath is a powerful way to release and let go of stuck energy and tension. Great for clearing and refreshing your throat chakra. Imagine filling your head with the vibration of a calming “humm” for one, two or even 5 minutes. It’s bliss.